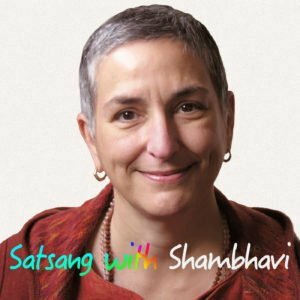 Those of you who are newer might not know that one of the guiding principles of sadhana, or spiritual practice, in this community is hosting. It’s something that’s been there since the beginning of Jaya Kula. The inspiration for this is two-fold. One is that the Host is one of the many names of God, of what we call Shiva. The other reason is because I’ve always been very interested in, or even obsessed with, hosting since I was a little kid. I take that to be an indicator that I would eventually have a spiritual path. But it started out with yelling at my mom about not being a good host. So when we talk about Lord Shiva, aka God, Reality, or ‘that,’ being the host, we mean first of all that in a dualistic sense existence itself—that alive, aware reality—is providing us with a place to be, a sense of place, or a sense of space. That’s what the host does. The host invites you into a space and then serves you. So although we are all made of that same Reality, there is a game afoot, and that game is called Hosting, where we feel we are in a world. That world is the space that we’ve been invited into. We’re being offered food, a place to sit, a place to wash, and all of the things that happen in Indian households anyway when you get invited as a guest. You get your feet washed if it’s a very traditional household, and you get fed food. We can think of the host in that way and as a metaphor for our whole lives. But in a bigger sense, this reality is continually pouring wisdom into us in the form of compassion and all of the wisdom virtues that we can identify as being part of enlightened essence nature. Those things are always available to us.